Robert Luff & Cop are delighted to offer to market this DETACHED bungalow ideally situated in the quiet location of North Sompting with beautiful downland walks on your door step, local shops are close by and easy access to the A27. Accommodation offers entrance hall, spacious lounge/dining room, fitted kitchen, three bedrooms with one offering an en-suite and family bathroom. Other benefits include off road parking for multiple vehicles and garage. Cupboard enclosed water tank with shelving, radiator, loft access and further storage cupboard. Matching range of wall and base units with marble effect work surface incorporating a one and a half bowl sink unit with mixer tap and drainer, four ring electric hob and extractor fan over, integrated oven and grill, space and plumbing for washing machine, space for fridge/freezer, radiator, part tiled walls, wall mounted boiler and double glazed windows. Dual aspect double glazed windows to South and West aspect, TV point, telephone point, three radiators, serving hatch and coved ceiling. Double glazed window overlooking the garden, radiator and coved ceiling. 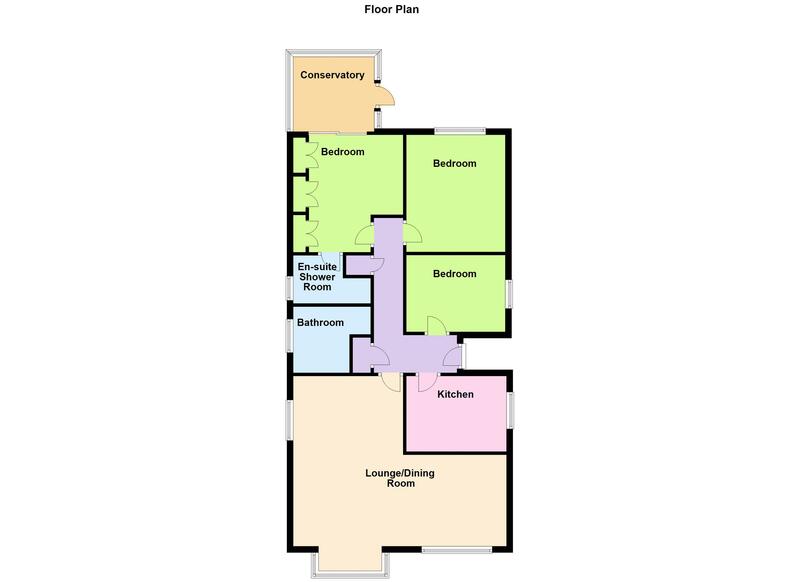 Matching three piece suite comprising walk in shower enclosure, low level flush WC and wash hand basin inset to vanity unit, fully tiled, radiator, shaver point and frosted double glazed window. Part brick built and double glazed surrounding windows, wood effect flooring. Double glazed window to East aspect, radiator and coved ceiling. Providing off road parking for multiple vehicles. Mainly laid to lawn with decorative plants and shrubs. Paved area and side access via gate. With up and over door and personnel door.